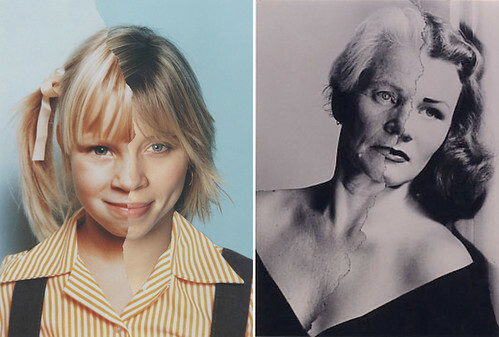 I found these age maps by Bobby Neel Adams on NOTCOT. They’re totally fascinating and terrifying. Honestly, I’m really nervous about getting older. For the first time in my life I feel completely happy with what I’m doing. Plus I’m in requited love….sigh…. I would not change a thing. That’s a scary feeling because of its transience. Everything changes. Sorry to be dark today. Did you ever see the Up series? My husband and I were totally hooked. The BBC began filming a group of British children aged 7 from widely ranging socio-economic backgrounds are interviewed about a myriad of topics in 1964. Director Michael Apted interviews them at 7 year intervals to determine how their lives and attitudes have changed. So far you can watch them up to 49 Up, which was released in September 2005. We watched many dvds in a row (hello netflicks). It’s really fascinating to see how people grow and change throughout their lives…but also a bit scary to watch them age right before your eyes.